We recently received a poster from the Iowa State University Solar Team as a thank you for being a sponsor of their team. 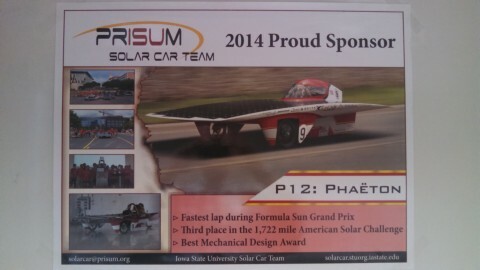 We first received one of these in 2008, after we sponsored the PrISUm “Sol Invictus” solar car. 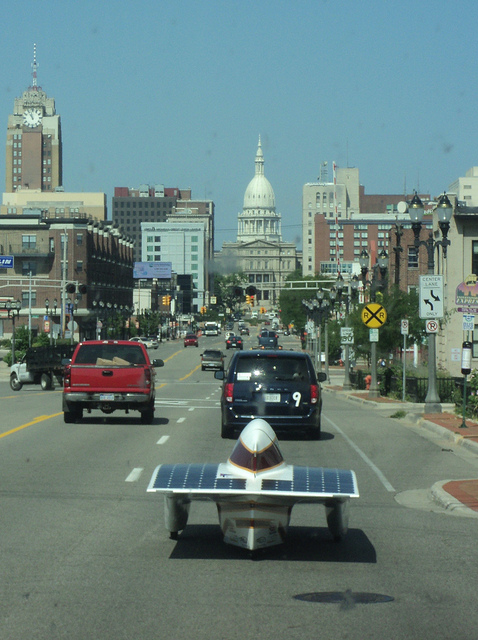 The latest picture is of “Phaeton,” which placed third in the North American Solar Challenge against over 100 schools in this year’s 1700+ mile race from Austin, TX to Minneapolis, MN. 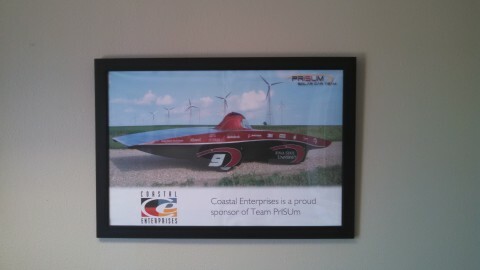 Coastal Enterprises sponsors PrISUm by donating Precision Board, which enables them to make molds for many of the body components. 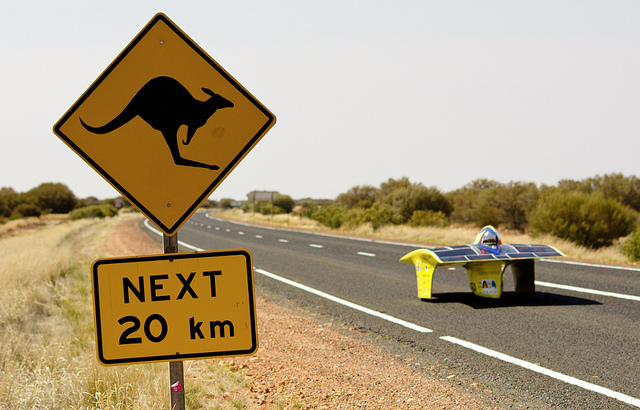 Please see additional insight into this process at: Sun Raycing with the PrISUm Solar Car Team.